When people talk about email marketing platforms, MailChimp is usually one of the first names to come up. Not only is it one of the most popular options around, but it also happens to be highly intuitive. Plus, it comes with a robust autoresponder functionality that can make short work of your campaigns. MailChimp autoresponders – or ‘automations’ – can enable you to set up complex campaigns that will work for you even if you don’t have the time to micromanage them. In this article, we’ll talk about what autoresponders are, what makes them useful, and how to set them up using MailChimp in three steps. Let’s get started! Here’s a sneak peek of MailChimp’s autoresponder section. The key benefit of this feature is obvious: you don’t have to worry about sending out emails manually, since a tool like MailChimp takes care of it for you. Furthermore, you get to focus more on building up a relationship with your subscribers and fine-tuning your content. 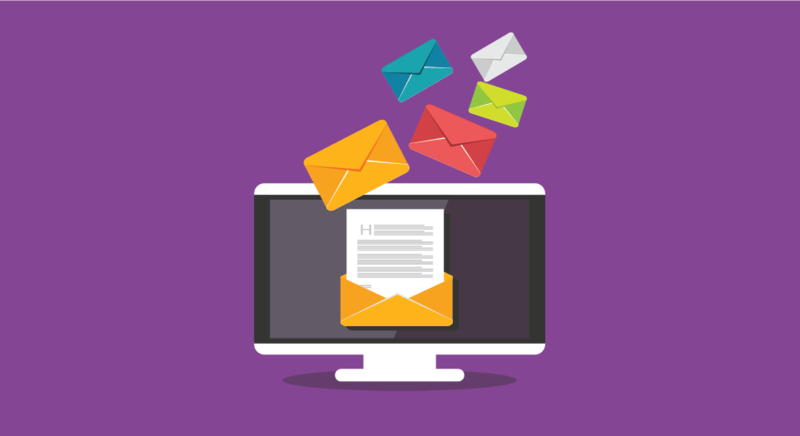 Naturally, not every aspect of an email campaign can be automated, and chances are you’ll need to jump in from time to time to tweak your existing emails and create new ones. However, that doesn’t make autoresponders any less attractive from a marketing (and timesaving) standpoint. Before showing you how to setup autoresponder emails of your own, let’s explore MailChimp in a little more detail. Plenty of you are probably already familiar with MailChimp; we’ve both reviewed the service and included it in our latest roundup of top-notch email marketing platforms. For those of you new to the world of email marketing, however, MailChimp enables you to create stylish email campaigns and manage your subscribers with ease. You also get access to top-notch analytics, and you can do it all starting with a free plan. As we mentioned earlier, MailChimp autoresponders are only available to premium subscribers. If you’re using a free MailChimp account, you’ll need to upgrade it if you want to access this feature. On the other hand, if you’re a new user, all you have to do is sign up, pick one of MailChimp’s premium plans, and pay for it. You can always change your plan later, so there’s no need to sign up for an expensive option right away. Secondly, you’ll also need to create a list to manage your subscribers and to associate with your autoresponders. To do this, go to the Lists tab on your account and click on Create List. All you have to do is pick a name for yours, set a description for it, and specify which name and email you want to send your messages from. As far as we’re concerned, the best way to get started with MailChimp autoresponders is to set up a welcome series for your subscribers – that’s marketing lingo for a series of emails that each new subscriber will get as soon as they sign up to your list. Depending on what type of autoresponder you choose, MailChimp will provide you with a few suggestions on what kind of emails to include. Let’s talk about how to use them to create your first automated email. After picking a subject for your email, click on Next at the bottom of the page. 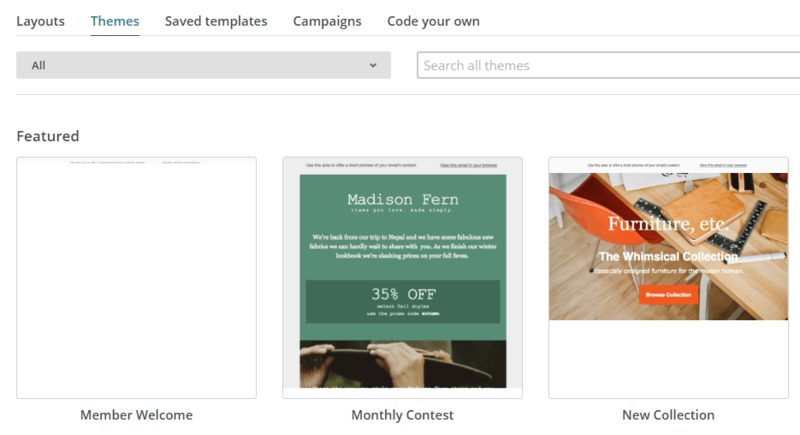 Now you’ll be able to pick one of MailChimp’s templates to use for your email, or build your own. The choice of which template to use is a personal one, so we can’t make any recommendations in that aspect. However, do make sure that you pick a design you’re comfortable with. After all, changing styles in the middle of a campaign can be quite jarring. Once you’re satisfied with your design and the content of your email, hit the Save and Continue button at the bottom of the page and you’re set! You’ve just created your first autoresponder email – now it’s just a matter of scheduling it. MailChimp’s Welcome Series autoresponder schedules your first email to be delivered a day after a new subscriber joins your list by default. Let’s change that to make the message send itself as soon as someone signs up. When that’s done, save your changes and move on to step number three – we’re almost done! It goes without saying that a single email does not make for a welcome series or a good autoresponder. When you run out of placeholders, you can add new messages to your queue by clicking on the Add Email option near the bottom of this section. Once you’re happy with the number of messages on your autoresponder, it’s time to call it a day! Remember, you can always come back to this section to customize your messages, add new ones to your queue, and even set up entirely new autoresponders. It’s safe to say that MailChimp’s popularity is well-earned. Not only is it the platform easy to use, but it also comes with one of the most comprehensive email automation – or autoresponder – features in the business. Setting up a campaign may take a little while, but it can pay off by saving you time in the future. Choose a type of automation. Create and schedule your first automated email. Add more emails to your autoresponder and schedule them. Do you have any questions about how to set up MailChimp autoresponders? Ask away in the comments section below! Hi Tom! If you have ideas for a future version of Divi, feel free to post them in our forums: https://www.elegantthemes.com/forum/. How about personalizing the email in Mailchimp and how to upload csv email to the platform? You’re welcome! Check out these articles for more information on those topics: http://kb.mailchimp.com/merge-tags/getting-started-with-merge-tags, http://kb.mailchimp.com/lists/growth/import-subscribers-to-a-list. chance to be failure in blogging. i feel post a decent enticing content is best thanks to attract folks. Hey … just switched back from AC to MC, cause implementation with PopUp Optin and Bloom is not possible (as far as I and the community found out). Would be glad to get an inclusive option to do it with AC. Autoresponder comes with a free account.